Watch this exclusive Mr. Media interview with Kip Addotta by clicking on the video player above! 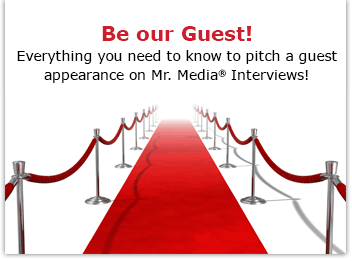 Mr. Media is recorded live before a studio audience that will repeat after me: We commit to the interview; We go through the interview; And we never ask permission to tell the interviewee that this part is a joke… in the NEW new media capital of the world… St. Petersburg, Florida! Kip Addotta: Confessions of a Comedian. Order your copy today by clicking on the book cover above! I guess I thought I knew Kip Addotta. Now that I am reading his autobiography, Kip Addotta: Confessions of a Comedian, I realize I don’t know him at all. But behind the curtain, as his memoir reveals, his early, personal life was anything but glamorous. • His mother deserted him and his father when he was just two years old. He never saw her again. • He slept in his baby crib until the age of 9. • His father, who never physically left, emotionally abandoned Kip shortly thereafter, although he delivered beatings to his son long into his teens. Dad threw Kip out of his house at age 15 with just two dimes to his name and the clothes on his back. • Kip was raised by his fiercely protective paternal grandmother, a sicilian woman he described as being a “Made” woman within the ranks of the Mafia. Because of her ties, Kip was escorted and protected whenever he traveled east of the Mississippi by goodfellas. • His first wife, Mary, mother of his first two children, died tragically at age 23. Need I go on? This is a book you really must read and I haven’t even told you about his encounters with Frank Sinatra, Elvis Presley and Kenny Kramer of “Seinfeld” fame yet!